Introducing … A transformational program for the Highly Sensitive Person on the easiest way to live a life filled with prosperity! Would you like to get off the hamster wheel of hard work, struggle and burnout? Would you like to attract all the help, resources and opportunities into your life without ever appearing “needy”? Would you like miracles to walk into your life on a daily basis? Would you like to tap into the never ending well of prosperity that is there for you 24/7 with ease? If you answered “yes” to any of these questions, then you are READY to tap into the goldmine of prosperity waiting for you. And you can do it the EASY way when you have the right formula! The success formula you were taught in school leads straight to burnout for the highly sensitive person! Our society rewards people for setting goals and working hard to achieve them. And there is absolutely nothing wrong with setting a goal, wanting more out or your life and even taking action to move towards that goal. But it doesn’t need to come at a sacrifice to your emotional or physical well being. I applied the success formula I learned in school to work hard to reach a goal to every aspect of my life. I worked very hard to achieve the success I had created. And the success came at a big cost. I wound up on a roller coaster of working hard and then burning out quickly. Ultimately, I realized that the cycle of working hard and burning out every time I set a new goal for myself was not the way I wanted to live my life. Especially during the times I would burn out so quickly I didn’t even reach my goal which then triggered feelings of failure, inadequacy and despair. It really wasn’t easy to shed the belief that I didn’t have to do all the heavy lifting myself to get what I wanted. As a highly sensitive person, I learned to be completely self sufficient. I didn’t dare admit I needed help with something for fear of being considered “too needy.” It hurt when I was teased for being “too sensitive” growing up, so I didn’t need another hurtful label pointed in my direction. Living a prosperous life is EASY when you know the RIGHT formula! One day I asked myself a new question that changed the course of my life. What if you could take the “hard work and struggle” out of the success equation and replace it with “ease and flow”? That question led me on a deep spiritual journey to find a new formula for success. And my focus shifted from focusing on making more money to creating a life of purpose. And I began to explore the concept of prosperity. What is it? And more important, how do I get it? I saw entrepreneurs around me who I thought were “prosperous” and I wanted that for myself. And I resorted to my old pattern of working HARDER to BE more prosperous. Nothing had changed. I read books on prosperity. I tried affirmations on prosperity. And I still didn’t feel that I was any closer to this illusive “prosperity” I wanted for myself. And then EVERYTHING changed in a miraculous way. I got it. I figured out a new way of approaching prosperity that WORKED. And it was easy! No more overwhelm, burnout, hard work or struggle! Once I had this big epiphany and discovered a NEW formula for prosperity, I got off the hamster wheel of “efforting” my way to success in order to have what I want FOREVER. And now I live my life completely following the rules of “ease and flow” and finally prosperity started to gush in my direction. Are you ready to claim prosperity for yourself with EASE and FLOW? You were born PREWIRED to live a prosperous life. Unfortunately, many of the coping strategies you use to deal with your sensitive nature can actually BLOCK you from receiving the prosperity waiting for you to receive. And when this happens you will resort to applying the old formula for creating success by working harder. After I applied this new prosperity formula to my own life with great success, I started to teach it to my highly sensitive students. Over the past 23 years I’ve worked with thousands of individuals. 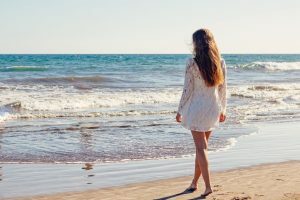 And I can tell you that it’s time to replace the old formula you learned in school to work harder to achieve a goal with a new formula that is so much EASIER … especially for the highly sensitive person. In fact, this new prosperity formula will help you create a successful life filled with prosperity that is in HARMONY with your sensitive nature. Recently I introduced the exact step by step formula to follow that creates a life of abundance and prosperity in a live online course. Instead of waiting to teach the live course again, I have instead turned it into a self study program for the highly sensitive person that shows you EXACTLY how to create a life of prosperity. Introducing the 21 Day Prosperity Self Study Audio Program. Once you understand the exact approach to living a prosperous life everything will change. And most important, your identity will change. The key to your success is NOT based on hard work and effort. Instead it is based on being empowered to access the gift that you were born with and nurture it in a way that creates harmony AND prosperity. And, this new way of being will instill confidence, passion and fulfillment in a new way that allows you to proudly claim you aren’t a highly sensitive person. In fact, you ARE a Successful Sensitive™ – a person blessed with the gift of being born highly sensitive AND you live a life filled with the success you desire. Prosperity is NOT just about having a success mindset. Prosperity is NOT about working hard towards achieving a goal. Prosperity is NOT about having to know how to get something. Prosperity is so much greater than all of that. It’s a way of being, thinking, manifesting, living from a place of abundance, financial wealth and RECEIVING all wrapped in one. In other words, it’s knowing how to live your life completely immersed in the energy of prosperity. When you unlock the secret prosperity formula that makes your life EASIER, you will easily tap into the wealth of prosperity waiting for you! In this module you will learn the secret to accessing prosperity as a highly sensitive person. In fact, you are already sitting on a goldmine of internal assets that are the key to unlocking a life of prosperity. 9 high vibration assets you already have available to live a powerful life. 5 sacred gifts that support a prosperous life. 3 prosperity multipliers that always work. Discovering the “self imposed rules” that hold you back from prosperity. Getting clarity on the life you truly desire so you can manifest the big things! In this module you will learn how to separate the emotional baggage you might be holding around money, to heal the emotional pain of not being financially where you think you should be and to commit to a future that is filled with prosperity. You will release the limitations of having a money mindset and instead create the freedom of unlimited abundance with a prosperity mindset. Releasing old programming around money that blocks your prosperity. Rules about money that keep you trapped in a limited space. Uncovering your blind spots on your relationship with money. How to shift a money mindset into a prosperity mindset. How to transform your money language to the high vibration words of prosperity. 7 high vibration principles of prosperity. There is one thing you can shift that will dramatically increase your level of prosperity flowing into your life. It’s your relationship to space. Your mental, physical and energetic space have a direct impact on your prosperity. In this module, you will learn how to expand your space so that you RECEIVE prosperity in every form freely and easily. Creating the mental, physical and energetic space to be prosperous, wealthy and live an abundant live. 15 ways to clear your mental space. 5 steps to a prosperous environment. 4 important things you need to know to create an energetic space that is BIG enough to receive everything you desire. The most common thing that creates a mediocre life and busts your chances at receiving the prosperity waiting for you. Any thought and belief system you have in your subconscious is also anchored in your body. Changing your physical state is the fasted way to shift lack consciousness. In this class, you will learn how to anchor your “physical body” with the energy of prosperity. How to let go of the energy of struggle and hard work from your body. How to quickly shift to a prosperous state and override your lack thinking. How to ground the energy of prosperity into your body. There are some fundamental principles that when followed always produce the result you desire. In this module you will learn the fundamental principles that keep you grounded in a state of prosperity each and every day. PLUS you will learn the EXACT manifesting formula that attracts the BIG things you want in your life. 13 golden rules that keep you in a permanent state of prosperity. 6 simple steps to manifesting anything you desire. 6 daily actions that create traction in an abundant life. This course is focused exclusively on helping you live in the high vibration of prosperity. Debbie always transmits a high vibration energy frequency while she teaches so that you get an energy attunement at the same time you are also learning the course material. This energy transmission is embedded in the audio recordings so that every time you listen to the audio you are accessing a high vibration frequency. There are five modules in the course consisting of 10 audios. The audios are delivered through digital delivery of MP3 files for you to download directly to your computer. Each module includes a comprehensive handout so that you can follow along with course material. The handouts also include instructive exercises for you to complete which help you apply the information directly to your own life. Every single thing you learn in this course you will be able to apply immediately in your life. You will have a never ending stream of “ah ha” moments. All the pieces of your life will fall into place as you learn how to live a life of abundance and prosperity through simple steps that transform your life completely. You will receive the 5 module course recordings over a 21 day period via e-mail. You will get a new module every 4 days. This gives you time to go through the exercises of each class and apply the information to your life. You will also receive an e-tip series that shows you how to apply the information for each module to your life. It takes 21 days to start to get traction in your life and develop a new way of thinking and being. The course is designed to give you maximum results by sending you a new module or e-tip on a daily basis over the 21 days so you develop traction of living in a high vibration. Once you live in a high vibration all your energy blocks of lack and limitation begin to dissolve in your life. Plus THREE Valuable Bonuses worth over $600. Getting in a grounded and expansive state is key to living a life of flow and ease. Included with this program are two guided meditation journeys with Debbie Lynn Grace. The guided journeys also include an energy transmission. This energy transmission is designed to help you relax and put your body in a state of ease. Each audio in the five modules have been transcribed and are included with the program. You will receive the transcripts with each module that is delivered. Rhonda is the first Life Coach on Television in the world. 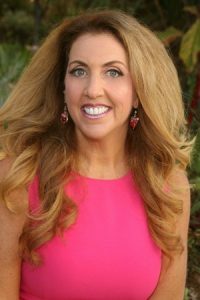 Rhonda has changed lives in over 600 episodes of reality television, been heralded as “America’s Favorite Life Coach” by the TV Guide and is an Emmy-Award winner for her work in the hit daytime show, “Starting Over.” Rhonda is the Founder of the Fearless Living Institute and has written four national bestsellers including her groundbreaking book on fear: FEARLESS LIVING. In the interview, Rhonda shares with you her own personal story and struggles due to a childhood tragedy that completely transformed her relationship with fear, love and prosperity. And she also shares some very simple and practical strategies you can use immediately to turn self love into prosperity. As soon as you register for the program, you will be sent the link to the audio download of the interview. One time This Program Has A Total Value Of Over $2300! This program has a total value of over $2300 including the three bonuses worth over $600. You can purchase this program for less than 50% of the total package value. Your investment is only $997. Plus we have a two-pay plan for your convenience. As soon as you register you will get your order confirmation with all the program details and you are on the way to a life filled with prosperity! Q: How long is each Module? A: Each module is between between 76 – 114 minutes long. There are 10 audios in total for the five modules. For the exact details please see above for the program description. Q: Why do you send out the modules over a 21 day period instead of all at once? A: This course is extremely comprehensive and is meant to be consumed steadily over a 21 day period. To get the maximum effect of the program, it is designed to allow you to take a few days to listen to each module and then do the transformational exercises in each corresponding handout. By releasing the course over a 21 day period with the e-tips sent to you in between each module, you continue to stay immersed in the energy of prosperity for a three week period. This helps you create traction in the high vibration of prosperity. Q: Do you offer scholarships or service trades for this program? A: We frequently get requests from people who are facing financial hardships and challenging times asking for a scholarship or service trades to our programs and events. While we do not offer full or partial scholarships or service trades to any of our events or programs, Debbie does offer complimentary information packed webinars such as the recent prosperity webinar. These complimentary webinars are designed to introduce you to a specific topic and give tips and strategies. Debbie also gives a high vibration energy transmission during these webinars to support all the people who want access to the information. Q: Do you offer payment plans for this program? A: Yes! As a courtesy to you, We offer a 2-pay plan for the program. Unfortunately, we can not offer delayed payment or any extensions on the payment plan beyond the 2-pay plan for this program. Yes, I am ready to live of life of ease, flow and prosperity. Sign me up right now for the Successful Sensitive™ Prosperity Program. 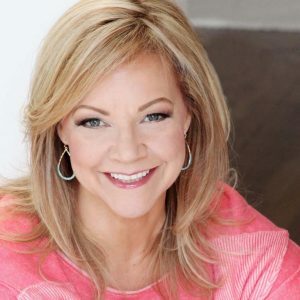 BONUS #3: A brand new audio recorded interview on prosperity with best selling author and Emmy winner, Rhonda Britten. NOTE: As soon as you sign up for the Successful Sensitive™ Prosperity Self Study Program, your registration confirmation with the course details will be sent to you immediately. Each module in the course will take you step by step through immersing yourself in the energy of living a prosperous life! (second payment due 30 days later). You were born to live a life filled with unconditional love, prosperity, joy, fulfillment, passion, creativity, confidence and expansion using your sensitive nature to FLOURISH and THRIVE. When you learn how to access the prosperity super power that is in alignment with your sensitive nature, there will be no stopping the prosperity flowing into your life! Don’t wait to order. P.S. Remember as soon as you purchase the program, the first e-mail will be on it’s way. If you have any questions, please e-mail us at Customercare@DebbieLynnGrace.com. You will receive an e-mail response within 1 business day. You have seven days from your purchase date to cancel your order and receive a full refund of the amount you paid when you purchased the Prosperity 21 Day Self Study Audio Program. If you selected the 2-pay plan and cancelled within the seven day grace period, your first payment will be refunded and the remaining payment will be cancelled. After the seven day grace period, all purchases are final. No exceptions. If you cancel after the 7 day grace period and selected the 2-pay plan, your first payment will not be refunded and you are still liable for the second payment. To cancel your registration within the seven day grace period for a full refund of the amount you paid, please send an e-mail to Customercare@DebbieLynnGrace.com. We will process your refund request within three business days and e-mail you a refund confirmation. Please note: If you selected a payment plan and your second payment is declined on your credit card, you must supply our office with a valid credit card on file within 3 days of notification of your declined card or you will not be allowed access to the course material until we have a valid card on file for your payment. Any outstanding payments due over 30 days will be turned over to a recovery service along with an additional recovery service fee of $100. Your level of success in attaining any results from our classes, products or services depends on the time you devote to your business, ideas and techniques mentioned, knowledge and various skills. Since these factors differ according to individuals, we cannot guarantee your success or income level. Nor are we responsible for any of your actions. Many factors will be important to determining your actual results and no guarantees are made that you will achieve results. © 2019, all rights reserved. Debbie Lynn Grace International.